I feel a bit sad. 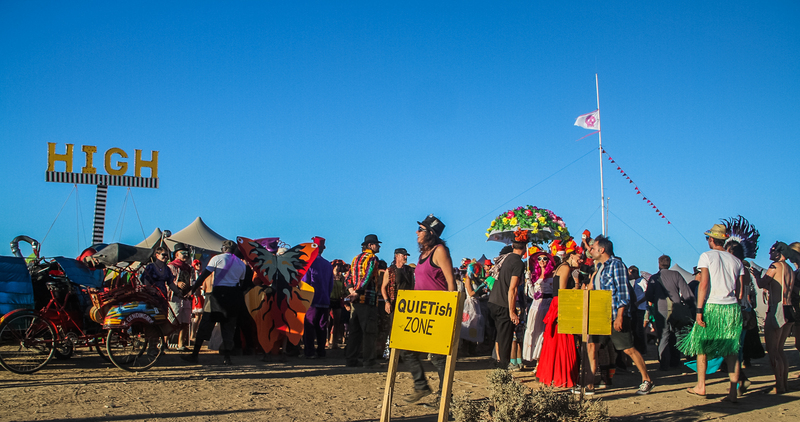 ‘Afrikaburn’ is on and I am on the other side of the world. I went last year, by accident really. Someone had a ticket to sell and I had time to kill. 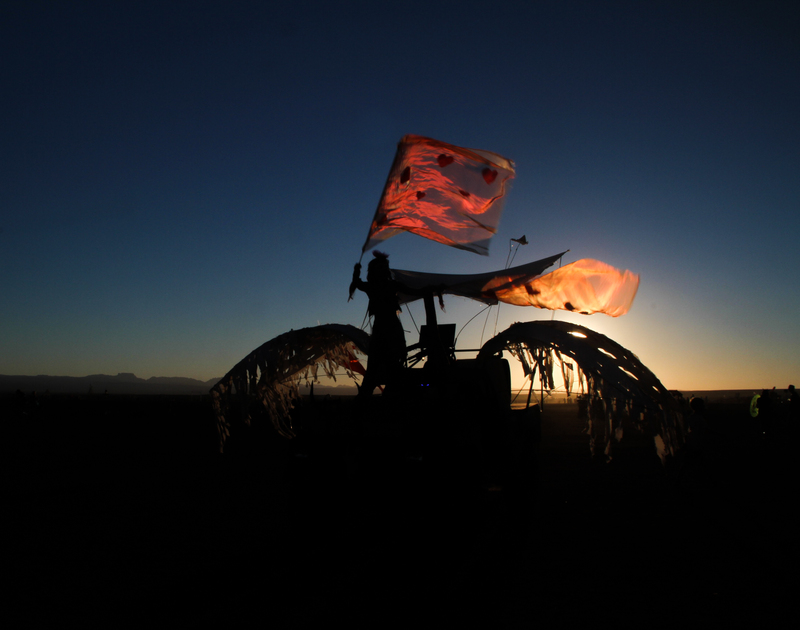 I had heard of ‘Burning Man’: a temporary city that sprung up in the middle of the Nevada desert created by it’s citizens (the punters) and then disappeared like nothing had ever happened? It sounded like a reason to be eccentric, just for the sake of it, and I wasn’t sure if I found that intriguing or pretentious. 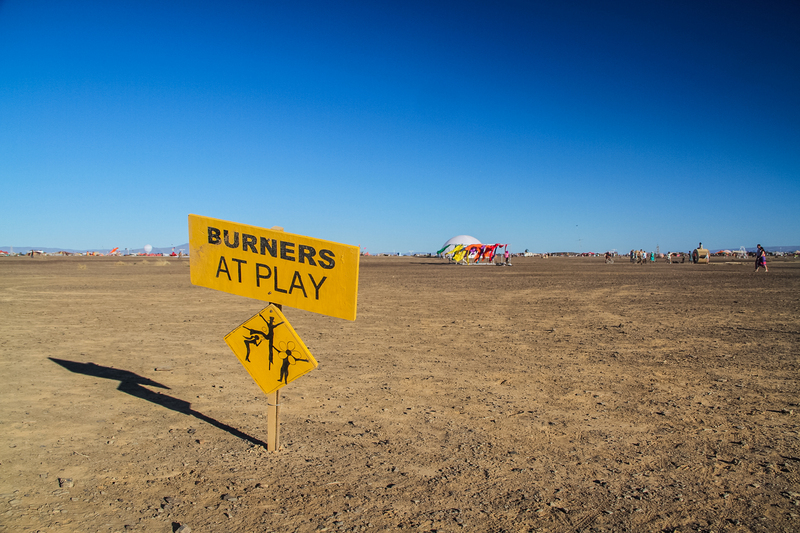 ‘Afrikaburn’ was one of it’s little brothers…. Loaded up with 4 days worth of supplies, a tent, and 3 people I hardly knew, we drove 300km out of Cape Town towards Tankwa Karoo, one of the most arid parts of South Africa, where ‘Tankwa Town’ had evolved into a vibrant city whose heart beat was definitely pulsing. Driving down the final descent, the sun setting, the temperature dropping, and the neat semi-circle of tents, cars and campervans lain out before us, an excitement overwhelmed me. While there is a main body of people who organize the event, this city had been built by the people, for the people. This set it apart from any other festival I had been to before. Entering the city – through ticket inspection, map collection – there was an underlying sense of equality. This was not a big corporate money making event where rules and restrictions were in place to ensure a few capitalized on the masses. 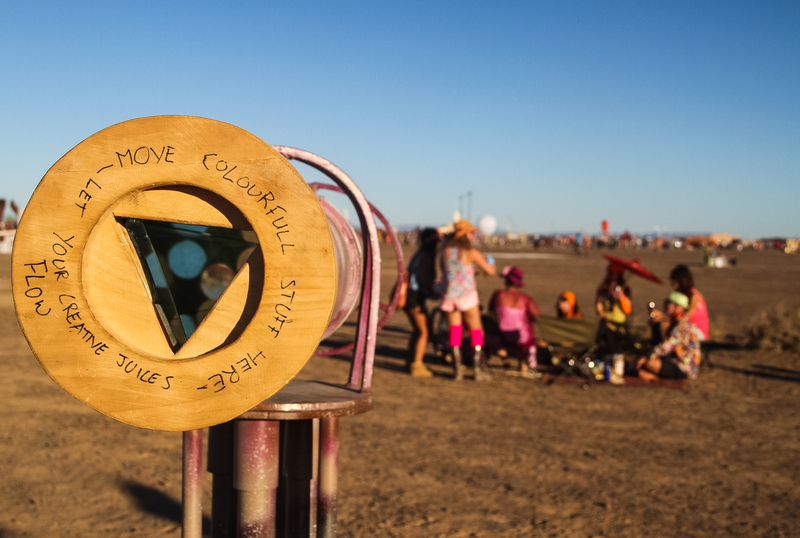 Every person who attended ‘Afrikaburn’ was responsible for creating this city, contributing to it’s artwork and upholding it’s philosophy. I rapidly assembled my tent, misplacing one of the poles in my haste to explore (resulting in the tent’s collapse that night), and wound my way through the temporary compounds of other campers. Twilight drink gatherings and barbeques infused the air with braai-ing meat and excitable chatter, while others napped in preparation for the evening’s antics. Music pumped from speakers flanking DJs on make-shift stages which lined the inner edge of the semi-circle. Each club was themed, embellished with fabric, sculptures, ornaments -decorated to reflect it’s creators. Revelers danced, drank, socialized, engaged and contemplated this explosion of sight and sound. Cyclists meandered past, bikes adorned with baskets and ribbons, the only mode of transport allowed in the central ring. Apart from mutant vehicles that is. Weird motorized creations of the imagination transported feathered, leathered and half naked people embracing the theme of radical self expression around the central arena from installations to sculptures to parties to campsites. I spent the mornings doing yoga and meditation with free classes held at various locations around the city. A café served free espresso. Nothing can be bought or sold in the city – all citizens are required to bring everything with them and a spirit of exchange and self-reliance encouraged. As I thanked the barista with a Grouch Marx-esque moustache for my coffee he passed me a packet of biscuits – ‘Will you share these around?’ The openness of people was astounding – everything was offered – food, beer, wine, friendship. It was a spirit alien to the other world in which I lived where it was each for their own, doors were locked, and strangers made to be wary of. People engaged so readily here – you didn’t need an agenda to talk, you just did. I walked into a teepee where a jam session between a few musicians had erupted. There was a basket of percussive instruments to one side and I picked up a cow-bell and began to play. The guitarist smiled, welcoming me into the circle. No invitation was necessary here. I had worked as a classical musician in my past and such unrehearsed, unstructured music making was foreign to me and a little scary. But here it seemed normal. There was a sense of community and belonging that was unspoken. 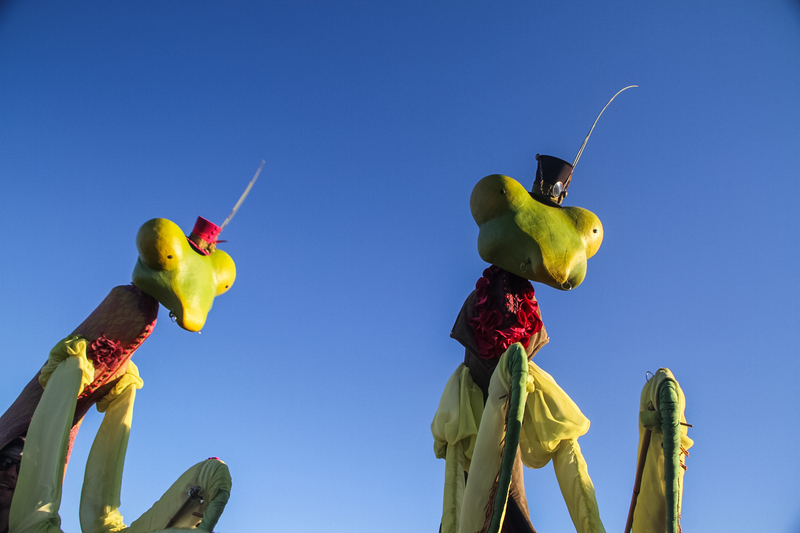 As darkness enveloped the sky each night people migrated into the centre of the town where giant sculptures emerged from the ground. They were set alight, one-by-one, the electrifying flames drawing people in, warming the desert night air that had dropped so dramatically. 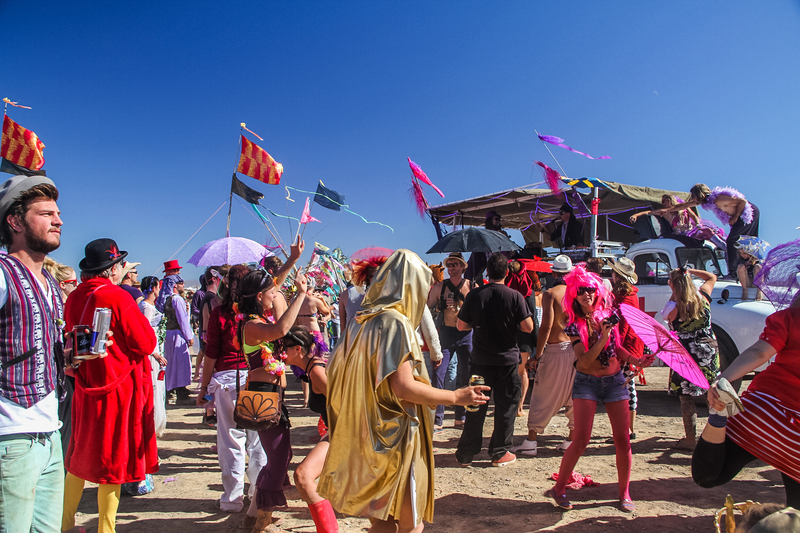 Wandering bands migrated, a mutant vehicle staging a DJ ignited a party, pulling people with them throughout the night – gatherings evolving, diminishing naturally – unplanned and unstructured. I fell into a deep sleep every night, exhausted by the stimulation, the interaction, and the ideas about society that were being challenged in my head. When it was time to go I didn’t want to leave. There was so much more I wanted to understand and learn from this festival. Perhaps it is not possible to suggest that such a society can exist in the developed world we live in today ruled by capitalism and greed, but I wanted to take some of the openness and sense of community that I had learnt here and apply it to my own life. 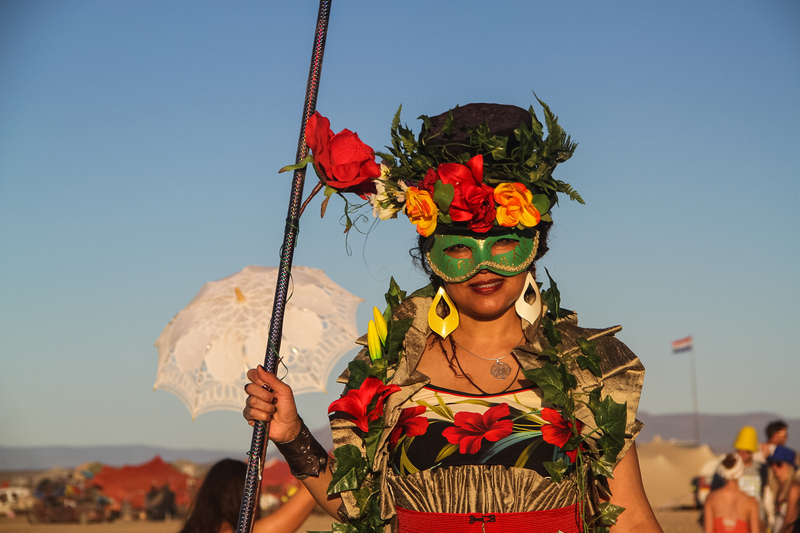 I wanted to come back to the festival and give so much more than I had this time, knowing what it was about, understanding a little more of the ‘Burning Man’ philosophy. 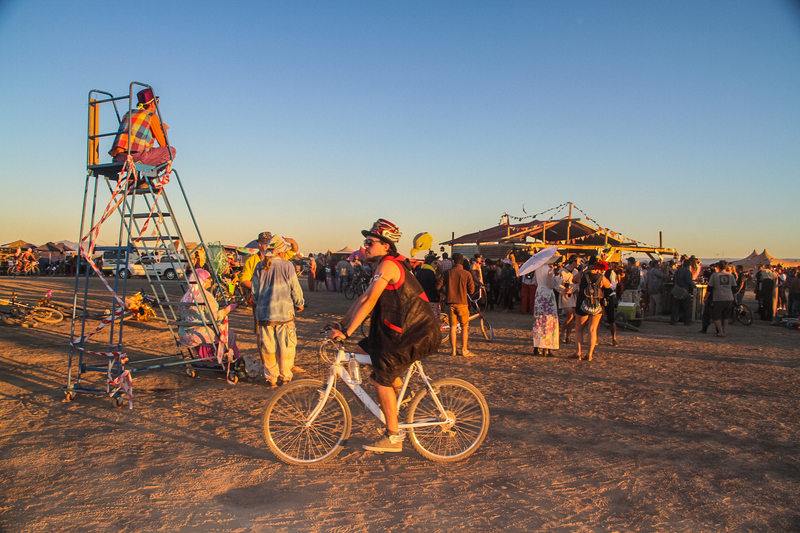 I left feeling that if everyone experienced ‘Afrikaburn’ the world might be a better place. It’s an amazing experience (and setting) isn’t it? Thanks for your words!